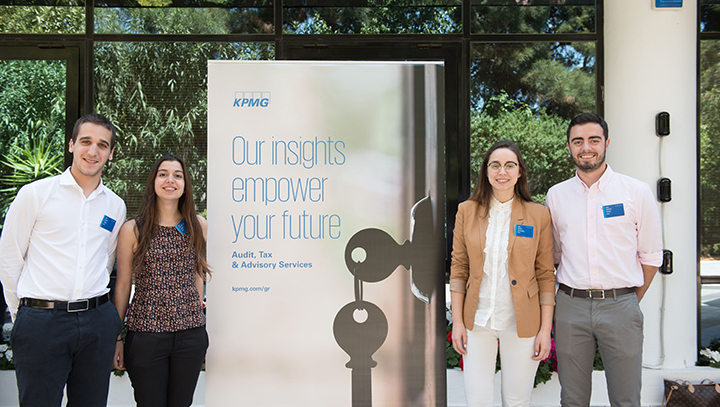 On May 11 and 12, six Deree students participated in the “Ace the Case” workshop and competition at the KPMG offices in Athens. Organized by KPMG, “Ace the Case” gives undergraduate and postgraduate students the amazing opportunity to gain valuable experience from the business world. The two-day student program includes training courses and a business case analysis competition. The participants propose ideas and solutions based on real-life business scenarios, helping them strengthen their analytical skills. Among 150 participants from several higher education institutions, six Deree students excelled and were chosen to participate in the program. Our students Ioannis Sfikas and Fiorentia-Zoi Anglou were part of the “Ntuality” team, and Stathis Nteskos, Dimitris Aronis, Yiannis Aronis, and Antonis Koskinas formed the team “Dereevatives,” winning second place in the competitive part of the program. 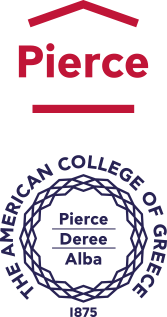 We encourage our students to make the most out of every opportunity on offer, from an internship or study abroad semester, to taking part in major competitions like “Ace the Case,” because such experiences add to their educational proficiency and professional skills, broaden their horizon and further empower them in their next career steps.